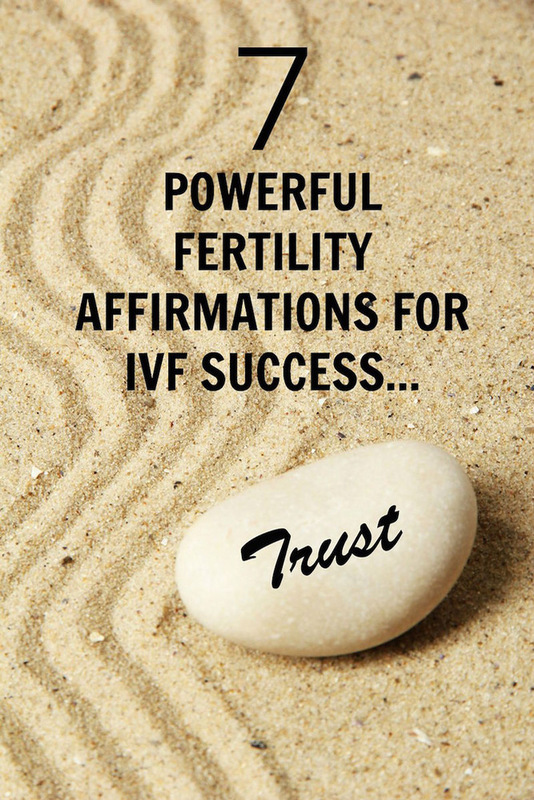 Say these 7 positive fertility affirmations out loud or silently every day as you prepare for your next IVF cycle, and feel your energy shift from anxious and constrained to positive, relaxed, and open. I love to print my own affirmations on cue cards, so I’ve designed them on a cue card-sized PDF that you can print out to carry around with you or keep handy on your desk or nightstand. You can repeat these affirmations first thing in the morning, last thing at night, or whenever you have two minutes throughout the day. 1. Fear: I make poor quality eggs. Affirmation: I carry the seeds of life within my ovaries. My eggs are capable of turning into healthy babies. Yes! 2. Fear: My lining won’t be good enough for implantation. Affirmation: I call on the collective blood power of all women and I draw this womb wisdom into my body. Affirmation: I release all anger and heat from my womb to the belly of Mother Earth. I now call in waves of calm, cooling energy into the waters of my womb. 4. Fear: What if my IVF fails? Affirmation: I put my faith and trust into the power of creation within my body. May I be a vessel to bring my baby into being. 5. Fear: I will have another ectopic pregnancy. Affirmation: I am perfect, whole and complete. I am the holder of creation and I accept its power and wisdom into my body now. 6. Fear: The stress is going to make this cycle fail again. Affirmation: I am doing everything I can to ensure that I am in the healthiest place physically and mentally for this IVF. I inhale peace and exhale stress. 7. Fear: What if I miscarry? Affirmation: My body and my baby’s destiny are in the hands of the Divine. I trust in the Divine to deliver my baby safely into this world in the right timing for all. Only YOU can change your thinking. You got this, mama!